Legacy Effects creates a large-scale moving head for a medical conference display. 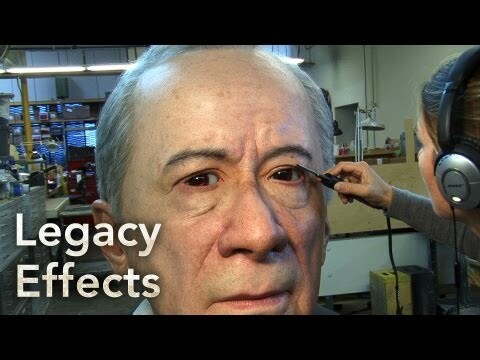 Using 3D scanning technology plus traditional sculpting and mold-making, each branch of the Legacy workshop brings uncanny detail and movement to an animatronic head for Siemens' Biograph™ Medical Imaging System. Saw this a while ago and was astonished by it. I'd love to know more information about the technicalities of it but couldn't find much. What servos did they use? Were they cable actuated or directly driven? How many billions of dollars worth of silicone did it require lol? But the small things that make the detail of it so impressive, like the eyebrows - the blend of colours and the lie of each strand of hair... Super impressive. Also, those molds were a work of art in themselves.